Capacities stated are generally for banquet seating. park and a magnificent stone monument, create the perfect setting. along the Waterfront Trail with access minutes away at the Desjardins Canal. woodshed, and access to the public park for activities. and charm surrounded by boxwood hedges and spectacular perennial gardens. or croquet, and enjoy a picnic lunch served by your caterer from The Stable. Need a DJ? Caterer? Florist? More? Please use Paul's Halls Wedding Directory. 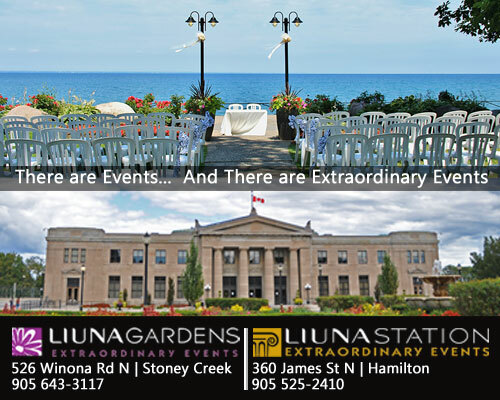 Hamilton - Stoney Creek - Winona ? - Capacities stated are generally for banquet seating. is a helpful contact info source for banquet halls and wedding venues. hall or rental facility in our directory is not a comment on its quality.